← Laughter as brain injury medicine … fashion or not? No one knows their deficits until they are out of formal rehabilitation, when life is no longer structured. At that moment life suddenly becomes overwhelming and full of distractions and demands! This is usually the most difficult time for both the survivor and family. The survivor is experiencing things they’ve never experienced before and the family can’t tolerate the changes in behaviors and unpredictable moments that initially are 24/7, but slowly improve. At this point, the survivor struggles alone, because “they look good”, and everyone’s life goes on … except theirs! Life goes on … and that’s just reality! Time when one struggles alone because: “Looks good” and everyone’s life goes on … except survivor! Life goes on for everyone… that’s just reality! 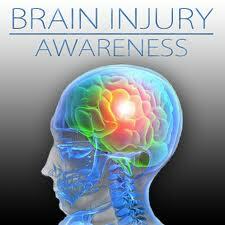 Many never remember the event and possibly not remember anything within the week or timeframe close to injury. This includes amnesia of significant events (weddings, funerals, new births). Most confabulate to fill in memory gaps. These gaps are frequently filled by recall or repetition of what others have told them and my not be true memories. It can be a good thing sometimes when memory of the event does not happen. Horrific accidents and violence are never pleasant to recall and initially this memory loss can help the survivor focus and heal from physical injuries. Sometimes bits and pieces of recall do happen, as the brain repairs putting together general memory. The brain has all the pieces, it’s the timeframe in putting the pieces of puzzle back together. Recovery is unknown. The unique variables that are known include genetics, education, personality and life choices. Eventually the brain will heal and connections in the neuro-network help with recovery in many ways. When scarring occurs it will become like a bump-in-the-road or a short circuit in any electrical system. Sometimes the light goes on, and sometimes it doesn’t! New pathways will develop with determination, persistence, healthy lifestyle, nutrition, exercise and sleep. It has nothing to do with voluntary recovery when one is struggling so hard to improve. It’s a very long process, but as progress continues it may seem unmeasurable at times. In the future: compare accomplishments month-to-month, not day-to-day as time goes on. Acquaintances will leave, but true friends and loved ones will continue support as comparisons become year-to-year. No one really knows what will happen in the future. If we did all these accidents would be prevented! Power of prayer is significant. In addition the combination of previous educational history, lifestyle and life choices that brought the survivor to the point of injury will be the framework for their best outcome. Scarring occurs and becomes like short circuit: Example: A light bulb that isn’t completely screwed in. Sometimes the light goes on, and sometime it doesn’t! This is similar to the short circuit in the brain but you forget a word, forget what you were doing, lost your train of thought, and it happens repeatedly throughout one’s day. It gets better over time with less and less frequently. New pathways develop over time: If scarring occurs the messages will eventually direct around the scar tissue. Previous education, lifestyle & life choices may help overall self-awareness, help understand rehabilitation process and promote recovery with active participation. Compliance versus Non-compliance may signal further healthcare education for patients. Non-compliant may simply mean lack understanding, not that they don’t want to participate. Compliance may be that they are only participating, but do not understand why. Some of bullet points are difficult to understand, ‘In the know’ sentence structure. Especially in “While BRAIN recovers” Please help us understand what you mean.